Back in 1993, Kate Spade New York was only known as Kate Spade Handbags. Now, it includes a whole collection of stationary, personal organizers, address books, shoes, perfume, beauty products, pyjamas, raincoats and eyewear, alongside its men’s and women’s lines. Home collections were also added back in 2004, and the brand’s popularity has been booming year by year. 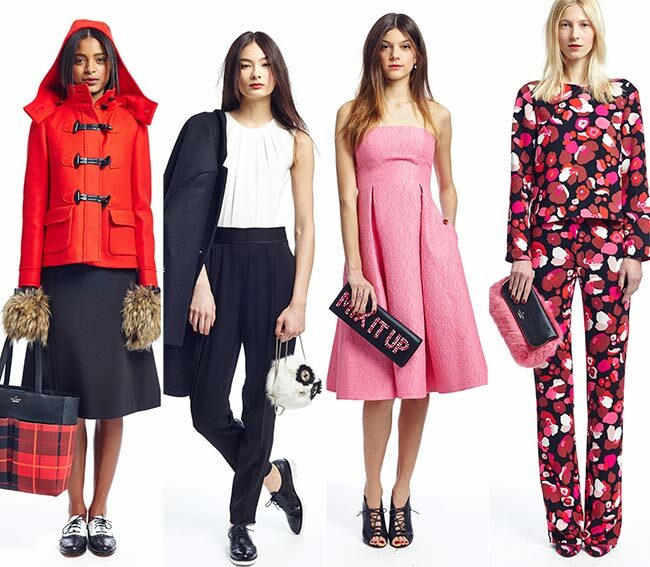 Now, New York Fashion Week fall 2015 features the Kate Spade fall/winter 2015-2016 collection on its runways, giving us all a taste of the wonderful new items available for purchase in any of their stores. 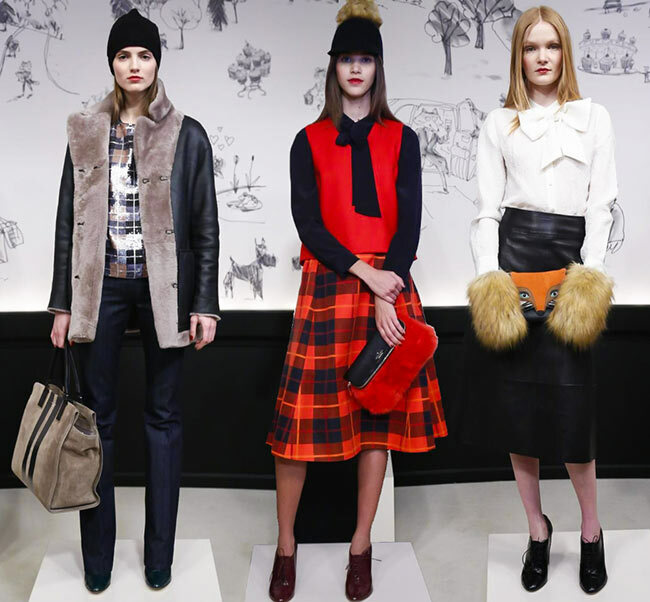 It appears that the creative director of the Kate Spade New York brand, controlled by Liz Claiborne since 2007, has been thinking along the lines of Roald Dahl from Tales of the Unexpected or Charlie and the Chocolate Factory. There is something whimsical, almost magical about the inspirations behind this latest of collections that all of the fashion world is enjoying happily. The pieces are a fun mixture of all that gets the creative juices flowing and all that we find amazing about those imaginative stories that ruled our childhood. 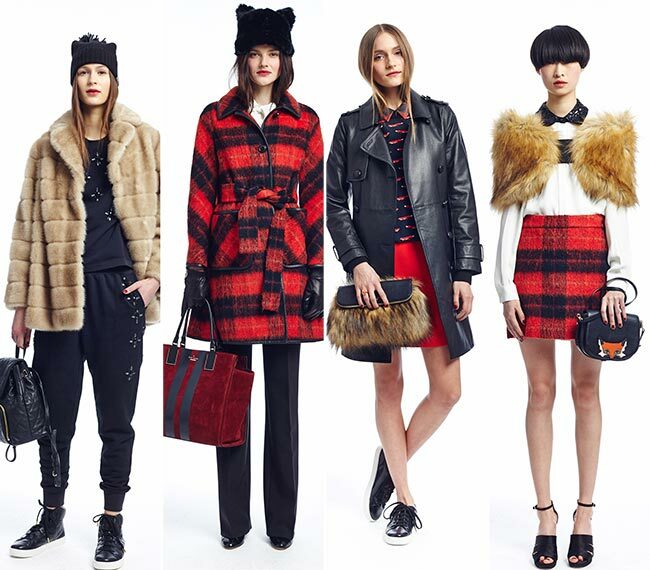 Sensible plaid jackets and skirts make the line-up, while faux fur accents enter the scene alongside crystal encrusted loafers. A strapless pink brocade dress seems perfect for cocktail hour, while bows suddenly appear on both the backs and the fronts of whole ensembles. 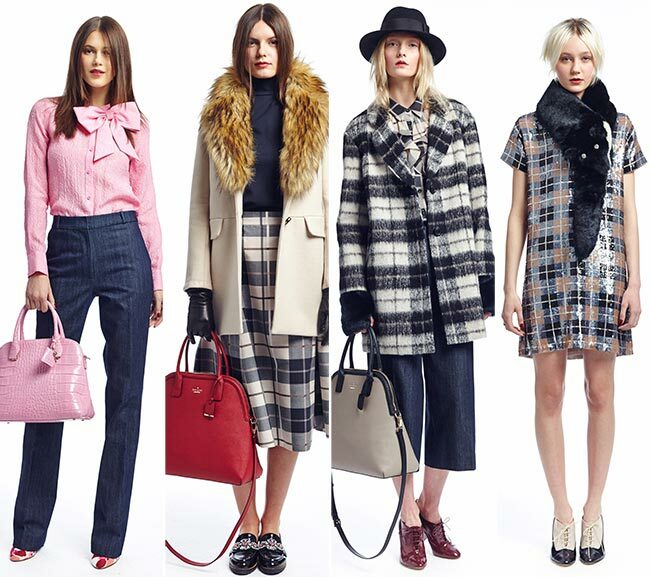 There are a total of 30 pieces in this collection, beginning with the plaid numbers and ending in a cotton-candy pink that would make Legally Blonde swoon with desire. A plaid jacket with straight pants suitable for a professional woman, complete with shiny pumps and a large red velvet handbag makes the list. Of course, you cannot just be professional in this fall/winter season it appears, so a cute furry hat with cat ears won over simple medium length hair left to fall in natural texture comes in pretty handy. The leather gloves in black will also protect the skin from the frost in the air, while the red and black coloring gives the whole ensemble a rather romantic feel. 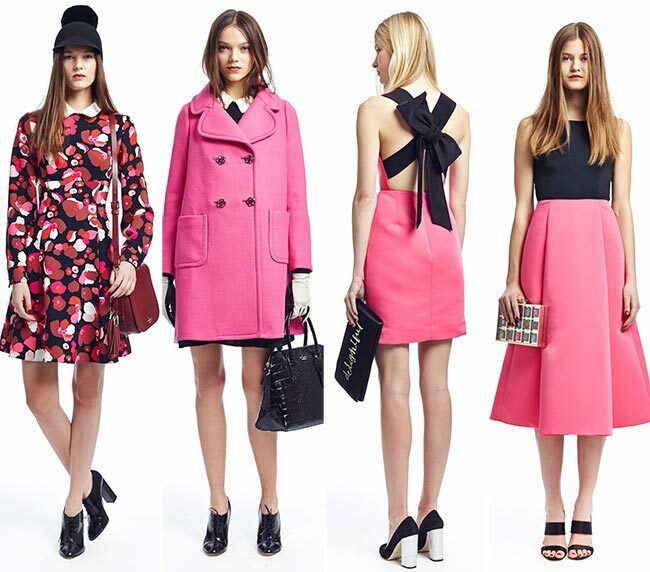 Midi skirts are the most common hem length across the Kate Spade fall/winter 2015-2016 collection, in line with the year’s trends. 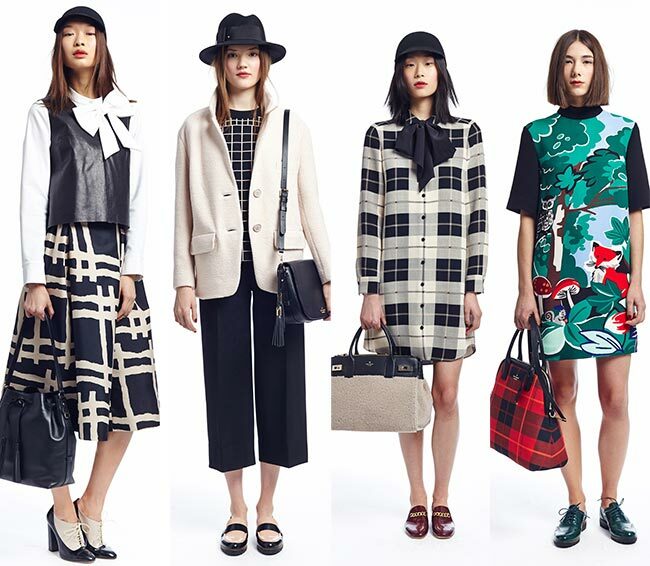 So is leather, a look that has moved from the 2014-2015 season on to the 2015-2016. That means a leather skirt that falls below the knees is not a strange look, instead elongating the legs and giving the whole look a more demure feminine feel. Add a pretty white shirt with billowing sleeves and faux fur ends, complete with a bow at the neck, and throw in a funky mask print handbag and it give the whole 1950s teacher a look a new and whimsical spin. The laced chunky-heeled shoes certainly add to the olden perfect teacher look, someone with a modern appeal who knows how to be trendy but who is a professional in her own right and follows the status quo to the best of her abilities. It’s a good look and one, which we may begin to see in our classrooms once again. It would definitely feed into some quirky fantasies!